Coniston village nestles between the towering ‘Old Man of Coniston’, and Coniston Water. Arthur Ransome based his classic novel ‘Swallows and Amazons’ on locations around this beautiful glacial lake – your holiday cottage in Coniston could be the start of your very own lakeside adventure! Not surprisingly, much activity centres around the lake itself. 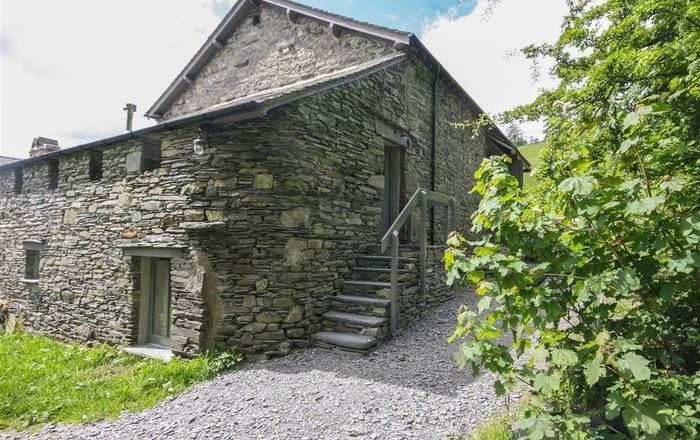 Boating enthusiasts will be well catered for by a Coniston holiday rental. The Coniston Boating Centre offers boat (and bike) hire, and there is a Coniston launch, and the National Trust owned Steam Yacht, Gondola. There are miles of walks for hiking enthusiasts, too. The Monk Coniston estate, owned by Beatrix Potter and bequeathed to the National Trust, stretches from Coniston to Skelwith Bridge. Anyone growing up with Peter Rabbit and Friends may want to make a pilgrimage here part of their stay. The estate is also home to the famous beauty spot, Tarn Hows.